Today on the Google home pages across the world is an outstanding interactive Google logo, aka Doodle, for the co-creator of Godzilla - Eiji Tsuburaya. 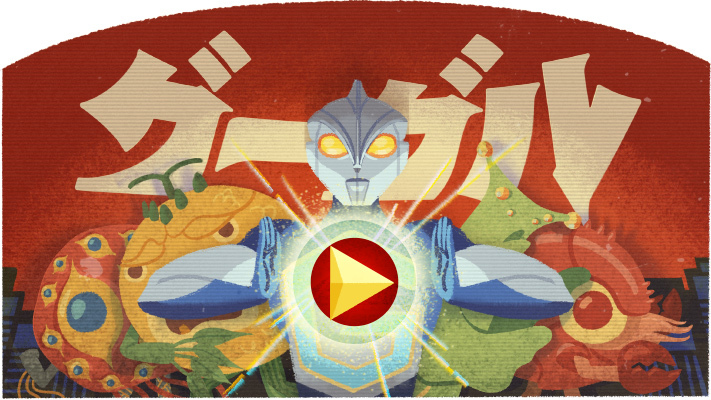 The Doodle was published on Eiji Tsuburaya’s 114th Birthday and shows several acts of the movie. In fact, it lets you help with each of the scenes, from setting the lights, connecting the wires to stomping on cars and much more. Eiji Tsuburaya was born on July 7, 1901 and died at the age of 68 on January 25, 1970 in Japan. He also worked at Toho Studios until his death in 1970, which is really awesome to hear.